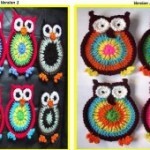 How about these owl appliques? The image at the top is the creation of ‘zoomyummy’ and they are very colorful coaster ideas. 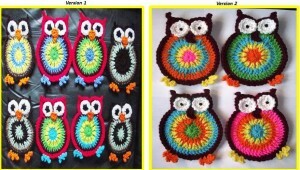 Zoomyummy has also offered a $5 pattern for how to make these crochet creations (click here for $5 pattern). 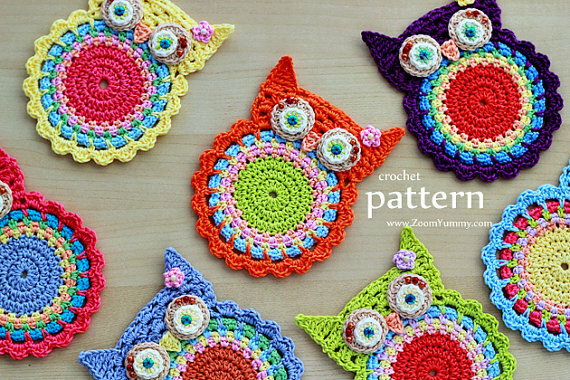 For a free pattern that is somewhat similar, we found “Hooty Owl Coasters” provided as a Google Drive sheet pattern by Moogly Blog (click here to visit them or click here to view the free pattern).